Ambulance Services in Dwarka Aggarwal Ambulance Service is one of the most vigil, punctual and cooperative Ambulance Services in Dwarka. We have been as a matter of fact and matter of record, on duty ever since our inception by Mr.Shailendra Aggarwal. Ambulance Services in Dwarka is one of the best as we are pushing our availability as an Ambulance Services in Dwarka to the maximum every year. So far, we have an unprecedented 98% record in terms of completion rate of our tasks. We have the fastest fleet of Ambulance vehicles and are the best when it comes to Ambulance service in Delhi. It is now amongst the most dialed Ambulance numbers in Delhi and is a name for the fastest approaching ambulance services hence the most asked for Ambulance Services in Dwarka. Ambulance Services in Dwarka by Aggarwal Ambulance Service is the most equipped and perfectly maintained Ambulance system in India and the whole region of Delhi. Not only that when it comes to coverage we are basically the best in the whole NCR region. Emergency Ambulance Services in Dwarka, Gurgaon, Dwarka, Noida, Faridabad and Ghaziabad. Recently Aggarwal Ambulance Services has started Industrial Area Ambulance Services especially in Bahadurgarh, Udyog Vihar Phase 1,2,3,4,5,6, Dwarka Sector -1,2,3,4,5,6,7,8,9,10,11,12,13,14,15,16,17,18,19,20,21,22,23,24,25. This is amongst all Ambulance Services in Dwarka the best record when it comes to the area within which we work. We provide a huge cluster of Ambulance facilities and services all at the unbeatable meagre costs, how do we do it? We understood our job is of saving the humanity and hence our approach toward our work is totally humane. So we work and we understand the stake of our work. Our premedic team is one of the most highly qualified staff you’ll get in Ambulance Services in Dwarka. Ambulance service is the first thing that a person would reach out in any kind of medical emergency with any family member or friend. This makes it very important that every person should be aware of the kind of ambulance to be called and the number to dial at the emergency situation. There are many ambulance facilities provided by many service providers. It is important that you know the right Ambulance Services in Dwarka. 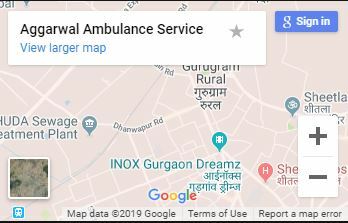 We have lift support Ambulance Services with ICU Ambulance facilities , Ventilator Facilities to any hospital in Delhi NCR likewise- Ambulance Services in Dwarka, Sir Ganga Ram Ambulance Services for out of station patient and referral cases. Also MBBS Doctors availability in Ambulance in Ambulance Services in Dwarka not even in Delhi but also serving at PAN INDIA. Such Ambulance service in Delhi is unmatched. It is imperative that the patient is protected and secure while moving to healing center. The emergency vehicle you call ought to have all the required offices for the patient, with the goal that he or she can securely achieve the therapeutic focus. Hence, we carry all such facilities with a motive to keep the whole city assured that they are safe and in any emergency we are there.